The deciduous woodland consists mainly alder, hazel, beech, rowan, sycamore, birch, ash, oak and cherry, with an understory of hard fern (Blechnum spicant), shield fern (Dryopteris spp), tufted hair grass (Deschampsia cespitosa), tormentil (Potentilla erecta), knapweed (Centaurea nigra), wood sorrel (Oxalis acetosella) and yellow pimpernel (Lysimachia nemorum), with bog asphodel (Narthecium ossifragum), devil’s bit scabious (Succisa pratensis), and a variety of sedges (Carex spp) and rushes (Juncus spp) occupying the wetter areas. 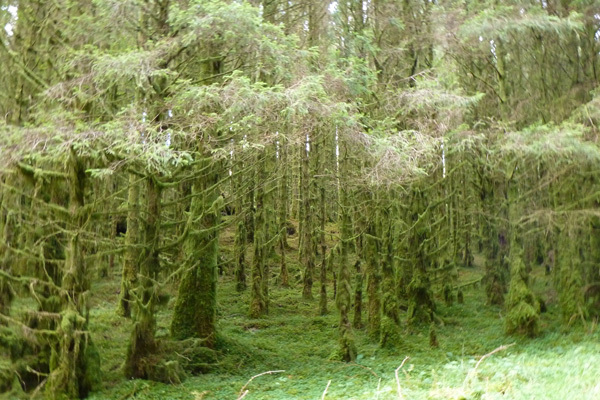 Many of these understory species persist in the verges of coniferous plantation, together with an abundance of bryophytes carpeting the ground and lower tree trunks at the edges of the plantations and beyond. There is a particularly lovely section of plantation where the trees are festooned with mosses and shrubby lichens to create a truly enchanted forest. 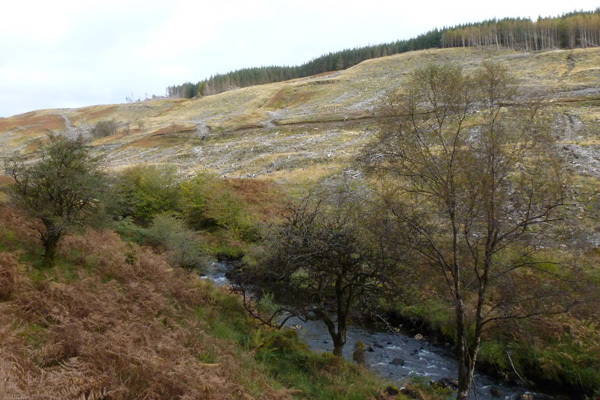 There are also some sections of open grassy heath, dominated by purple moor grass and bracken. 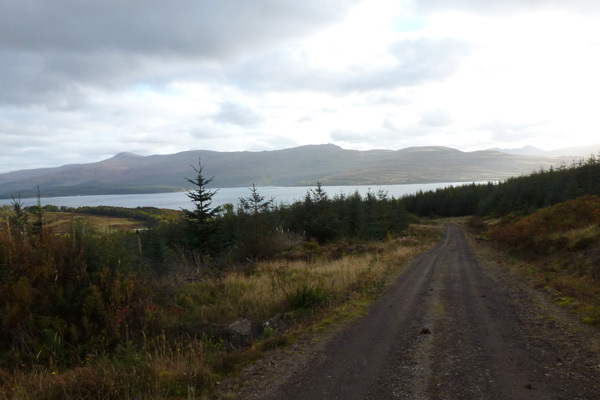 There are some lovely views on route of the surrounding hills, the River Savary and the Sound of Mull. 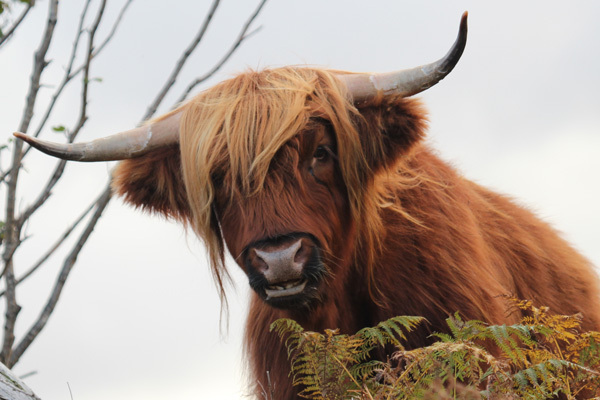 Look out for a range of woodland birds (including deciduous and coniferous specialists), as well as raptors, pine marten and red deer in the hills. Look out the tracks and signs otters by the river. 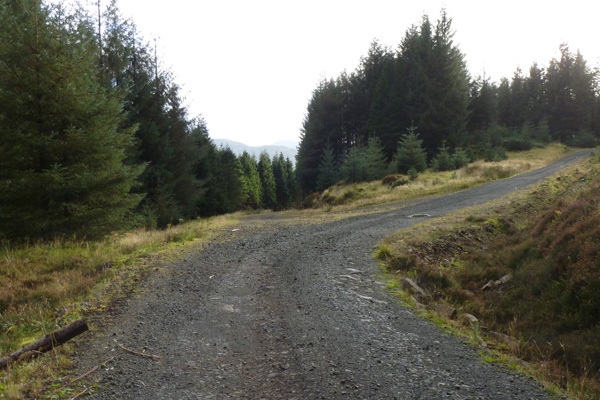 The route consists of forest tracks and well defined paths, although the latter can be muddy in places. 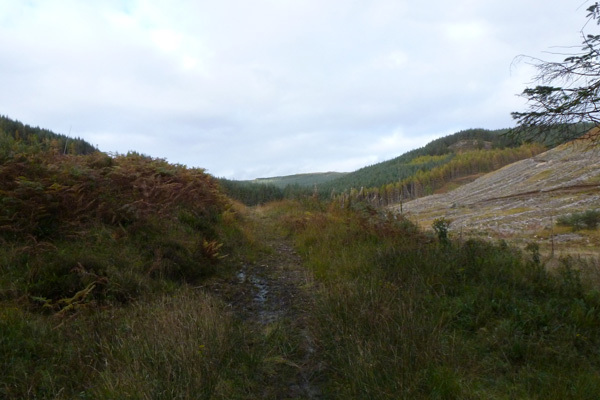 Some sections of the forest track may not be marked on the OS map. There is also picnic bench in the car park. 1. 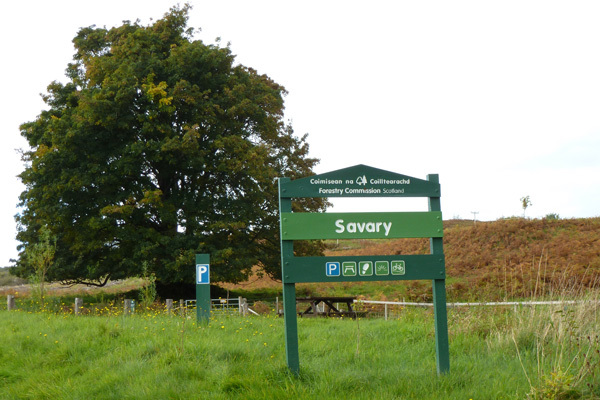 Park at the car park and head through the wooden gate as signposted, admiring the trio of large sycamore trees. 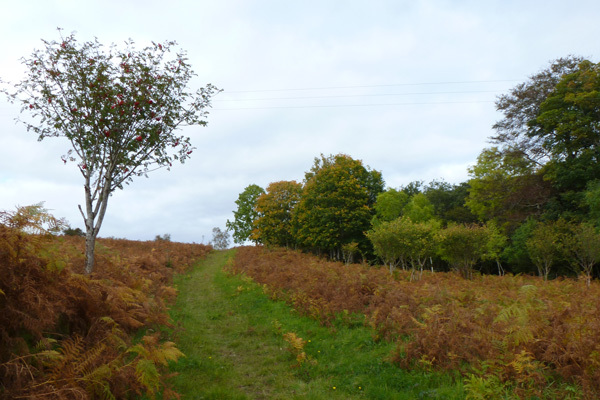 The path initially ascends through rough grassland with bracken and fringed by deciduous woodland on the right. 2. Pass through a metal gate, beyond which, the path is framed by deciduous woodland on both sides. 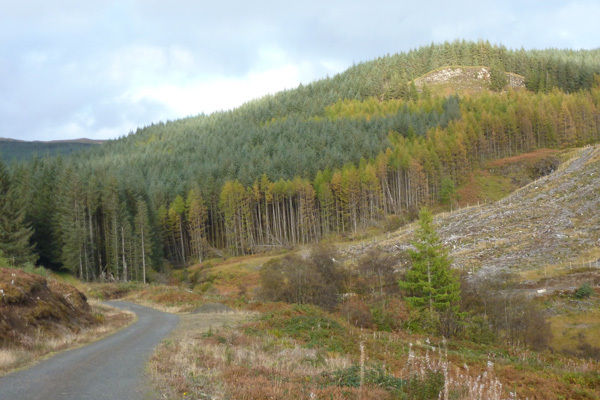 The deciduous woodland descends to Savary River on the right, and forms a deciduous boundary to the coniferous plantation and grassland on the left. 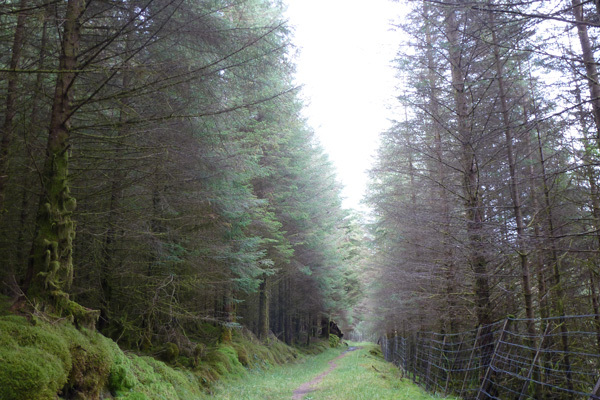 The path soon enters a coniferous plantation (of mainly Sitka spruce), strewn and carpeted with bryophytes. The path soon emerges from the plantation to provide hill views on the right (with the slopes cloaked with plantations of various ages), and mature plantation on the left. At this stage, good views are afforded of Savary River before the path heads back into the plantation. The path finally emerges onto open grassy heath. 3. Turn left where the path meets a forest track. Ascend on the forest track, skirting the edge of the plantation. 4. At the first junction, continue straight on heading downhill, ignoring the path on the right. 5. At a second junction take the forest track on the left heading downhill between two sections of plantation. After turning the bend, the plantation on the left disappears to afford some lovely views of the Morvern hills, the Sound of Mull and the hills of Mull. The track continues downhill skirting the upper boundary of mixed deciduous fringe, with open ground on the right. 6. Pass through a tall metal gate, heading on the track through open grassland/rough pasture. 7. Turn left where the track meets the B849 to return to the car park. There are some fine specimen trees fringing the road and some lovely coastal views.